Agreed on RT. Tho I still really like Jawan Taylor in the draft....its interesting that there seems to be a WIDE divide on scouts on him. Some believe he's the best tackle in the draft and a 1st rounder for sure....others have him tagged for like round 3-4. He's a tackle so I doubt he lasts that long (4th), but if he somehow escaped the 2nd round I'd be totally down for a tradeup...I like him a lot tho. I think he's everything folks thought Flowers COULD BE. Massive, athletic, agile, with a good first punch. On the FA market I like Bobbie Massie and Cam Flemming. Guys like Williams and maybe even Brown will get the hype - Williams because he actually is really good and his ties back to the Panthers - but he's hurt often and looking for top dollar. I'm not spending 12+ mil per on a RT. He's 26, but he played 1 game last year. He started all 16 in 2017, but missed 3 games with an ankle sprain in 2016. Brown will get the hype because of his size and the job the NE O-Line has done in the post season, but I think he's a product of Brady/Oline coach. My guess is he'll get overpaid. Massie had his best year which may up his value, in that case I wouldn't be interested, but if he's around the 5-6 mil he's been at its good value. Massie and Flemming are kind of "Fluker-esque" RTs. They are there for run blocking and only mediocre in the passing game. I'm okay with that. This is a team that going forward is going to be built off its running game. Running to Flowers/Wheeler's side was just not an option for most of the season. That would change with either of those and you can keep speed ends honest on the right side by running at them or using screens. I'm still looking for a Tackle in that 4th/5th round of the draft (or earlier). So I'm not looking to pay a RT super top dollar. That said, if Williams came down into the 7-8 per range then that's probably worth it. Yeah Gettleman probably walks right by Murray even with a great combine. The scary thing even RG3 had more size/weight on him out of college....the thing is this kid does look like a legit pocket passer and not a run first guy. I mean there were definitely plays that they just had him run from jump, but he looks fine in the pocket and his speed is incredibly dangerous on rollouts that Shurm seems to like to call. Again tho...he's gonna get hit at some point no matter how quick, no matter how many upgrades the line gets, no matter how little they actually call run. Just too high risk for a top 10 and Gettleman is also a guy who hasn't shown the willingness to trade back (even if he was interested). I will say tho - Gettleman took McCaffrey who was definitely not a traditional RB so I think at times folks place this "old school" label on him because of things he says and how he acts more than what he actually does....what I AM hoping remains true is his ability to find lineman in the later rounds (Norwell, Williams, etc). Snagging a legit starting O-Lineman or 2 with their slew of 4th/5th round picks would help this team TREMENDOUSLY. All indications were that all the QB's really struggled in the Senior Bowl practices leading up to the game. Daniel Jones hurt himself the most and now some 'experts' feel he might have practiced himself out of the first round. While he was productive in the game reports had him struggle with being under center, reads, arm strength, etc. Lock seemed to help himself the most but only some think he could still be a top 10 type pick if he does really well at the combine. Basically, it's down to Haskins or nothing for the Giants in the first round and I'm hearing the Giants aren't that high on Haskins though that could change or be a decoy. Talk also has the Giants with very little Murray interest. Jones had 1-2 passes in the game that should have been picked. So even his "mvp" rings hollow to me. A couple of the later round guys - like Stidham and Finely who walked in at best 4th rounders IMO, probably moved up to 2nd/3rd round considerations...while a potential 2nd rounder - Grier probably moved back into the 3rd/4th rounds. Minshew who had an odd amount of build up right before the week might have just played himself completely out of the draft...he was horrible. That's fun....and it really shows the importance of having a big QB in the pocket....not so much for the QB to get throws off, but for the receivers to clearly see the QB. If a guy is lost behind giants in the pocket, think about how many of those throws Haskins is explaining have potential to be completely lost. I think this kid is perfect for NY....he's not perfect overall, but again I think Lock, Haskins, and maybe even Murray just from a pure skills/mental aspect stack up competitively with last year's "great" class. Is Baker / Darnold still probably 1-2? Yeah...but I could easily see Haskins / Lock being selected before Rosen and Allen and I think Murray would have definitely been picked before Jackson. If Haskins is there at 6 I want him. I just don't want to trade up for him. Too many question marks to give up future assets for. As the draft process goes along these QB's are going to keep getting more and more hype. Some team will buy in and trade up. There almost always is at least one every draft which means some real talent has a good chance to fall to #6. I'm fine moving up 1-2 slots if on draft day he makes it past the top 3 and the Giants start getting itchy....that should be for a couple of our "extra" picks late in this draft or like a 3rd next year. I'm not giving up 2nds or 1sts for any of these guys. What I don't want to see is someone - like the Jags swap with Tampa and pick him. 1 spot and we lose "our" guy....basically becoming 2016 draft all over again where Reese lost his top TWO guys (rumored - but mostly confirmed later) because he never wanted to be aggressive in round 1. Lost out on Conklin AND Floyd - ended up taking Apple in 2016. If he gets to 4 I'd rather see Gettleman be a bit over aggressive to make sure they get him than just sit and wait. Like I said before I'm even okay if the Giants wanted to gamble a little and strike early to move up a slot or two NOW ....and FORCE other teams to pay big to get in front of them. If he gets nabbed in the top 3....so be it. 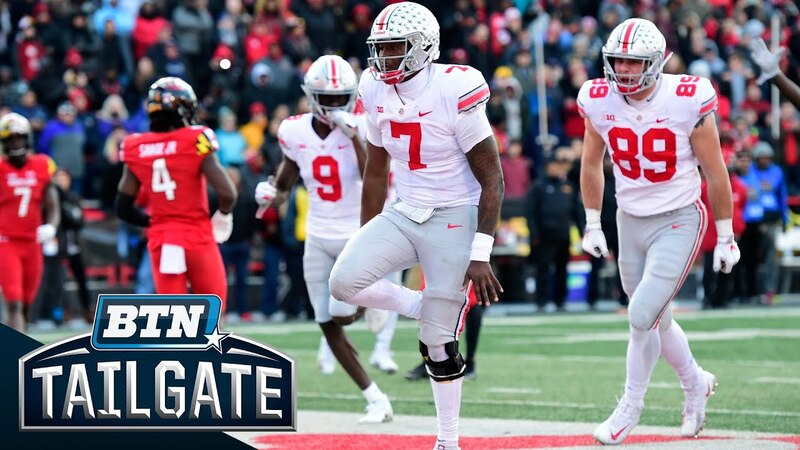 If you've made it to 4 just and someone jumped to grab Haskins...that means that a Rashan Gary, Nick Bosa, or Josh Allen is available...any of which would be worth the cost of moving up for too. Here's the issue with trading up, even 1-2 spots. Giants do not have a 3rd rounder this year and the price based on the old draft chart would mean at a minimum it would cost a 4th/late 3rd to move up to pick 5 and a 3rd to move up to the 4th spot and that's if the Giants are lucky. The Jets paid THREE 2nd rounders to move from 6 to #3 last year so any team looking to trade out of that 3-5 spots will use that an argument. IMO I wouldn't be surprised it it costs a 2nd to move up in this draft, especially if it looks like Haskins is the only legit QB worth a top pick. But, If they feel he could be the guy to take over after Manning then it's a small cost. My problem is that it's tough to pick a guy to go with in January when they haven't even had their pro day, combine, or any team interviews as well as any FA's being signed. I for one would not trade up for Gary. Most rankings have him available at pick 6 and even if he's not you have an Ed Oliver, Quinnen Williams, Jobah Williams, etc. still on the board at that point. Right now I'm more inclined to stay at 6 and keep the picks. But, that could change if Haskins lights thing up leading into the draft. If anyone casres. Lance Zierlein did his first mock of the year. Yes, he picked Daniel Jones for the Giants over Haskins who went 7th overall. I'm honestly going to be very pissed if they take any QB OVER Haskins @6. In fact I'm going to be pissed if they take any QB BUT Haskins at 6. Lock is the other guy I like pre-combine, but I'm not taking him at 6. Walter football did their QB re-ranking after the Senior bowl and put Jones #1....no idea how they got that. I thought he was really mediocre in the senior bowl and from all reports terrible in the week of practice. Lock is the ONLY QB I came away interested in among the seniors. Again Jones' flaws dont seem to line up with what you'd think they would be so he scares the crap outta me. A guy in a pro system, coached by pro's, and has seriously decision making problems and issues reading defenses. I'd expect almost anything but those to be issues.... He holds the ball too long...misses a lot of reads...honestly I see a lot of Davis Webb in him.... he's a 3rd rounder to me. Agreed. Haskins is the only one I'm interested at #6 and even that will only be if he looks good at his pro day and combine. I'm actually leaning right now towards passing on a QB, going BPA and building the reat of the team, and putting everything into the 2020 draft for a QB. It basically comes down to I do not want to settle for a QB that management/coaches do not love even if it means trading a ton to move up next year. Build the team so that when that young Qb comes the team is already built to start winning. Murray declares that he's all in on football. Tells A's, posted on twitter, and agreed to go to the combine. All these things are really good news for the Giants. Not that I think they have any plans to draft him but it means that there's now the possibility that someone else could leap the Giants (or move up to 6 in trade) to grab him. I think there's barely a 1% change the Giants would take him given his size and the Giants history of having size recommendations at every position. He'd have to be off the charts at the combine for that to happen and if it does that just means that another team might move up for him. So, this means that the Giants could have a better shot at Haskins, if that's their guy, a chance to move down in the draft if some falls in love with Murray and Haskins is off the board, or draft one of the top DL guys if 2 teams move up to draft both Murray and Haskins. All pretty good options at this point of the draft process. There's also a lot of talk that Daniel Jones will move up in to the top 10 before the draft process is over. I'm not sure I'm a believer in him but the more talent that is viewed as top 10 talents will only help the Giants. One 'mock' draft had Redskins trading up to pick 4 for Murray, Jacksonville moving to pick 5 for Haskins, and the Giants dealing the 6th pick to Miami for the 13th, 79, and a 2020 2nd. Compensation seemed a little light but they then picked RT Cody Ford. The most interesting guy in this draft, outside of Murray, might be Rashan Gary. I've seen him mocked in the top 5 a bunch of times and a bunch others in the 20's. Gary is a beast imo. I'm of the top 5 value for him. Won't complain if that's who they get...whether at 6 or trading back. Combine will help define some of these guys like Gary, Taylor, etc who Ive seen anywhere from top 10 to barely in the first. All I'll say on Murray is that no one thought Gettleman would take an undersized, pass receiving RB, back in Carolina. I think folks pigeon hole him into this old school dinosaur evaluator.... But I think he looks at the talent. Yes measurables are part of his process but I don't think it's the ultimate end all. I honestly believe the measurables come into play more in the later rounds where youre going to need coaching anyways. Get the right physical size and mental attributes...coach em up. If Murray really shows out in the combine who knows what could happen. I agree its a long shot, but Gettleman has broken his rules for talent he believes in before. Personally as a exciting as Murray sounds lining up next to Beckham and Barkley Im just too concerned over durability. At some point some 330 pound DE is going to give that kid a good bell ringing not confident hes going to shrug that off like Eli has over the last dozen years. I think while hes on the field hell be good tho...height doesnt worry me at all. Hes a guy tho who I think youll need to have a Nick Foles type backup ready for and thats tough with guys of his skill set. Haskins is plug and play from Eli. I’ll still be stunned if Jones ends up top 10. I mean Josh Rosen ended up out of the top 10 last year and he’s miles ahead of a guy like Jones. I know year to year it doesn’t matter, but 3 QBs in the top 10 is not a common occurrence. Lock is seriously under appreciated right now IMO. If Haskins isn’t there at 6 I’d love a trade back...but that’s probably less likely than the Giants drafting Murray. Broncos trade for Flacco....means 1 QB needy team off the board and 1 extra QB on the open market. Trade speculation already started with Beckham. Glazer predicting hell be dealt this off season and rumors starting to pop up that the 49ers and the #2 pick could become in play. Chris Simms also claims the Pats tried hard to deal for OBJ leading up to the deadline last season and only because of their aggression made the Giants thinkndealing gim wasn’t a good idea. Last edited by dak11; 02-18-2019, 09:09 PM.